My first cognitive experience with Holy Spirit involved the well-loved children’s church hero, Gospel Bill (also known as Bill Gunter, US Marshal) and the little town of Dry Gulch…but not in the manner you might think. The little church I grew up in (along with pretty much every other church in the late 80’s and early 90’s) loved the Christian television series put on by Willie George Ministries. The shows were kind of hokey sometimes, but the messages were solid and the heart behind them was clear. I was 9 (going on 19), and was so excited to join my private school counterparts for a week of Dry Gulch camp. The bus ride to Oklahoma was long and full of pre-teen drama, antics, annoying songs, and laughter. One bus breakdown and several long hours later, we finally arrived! We were quickly bustled off to our cabins to meet our pretty counselors and new BFF’s for the week, and we settled into the rhythms that any former summer camp-goer would recognize. 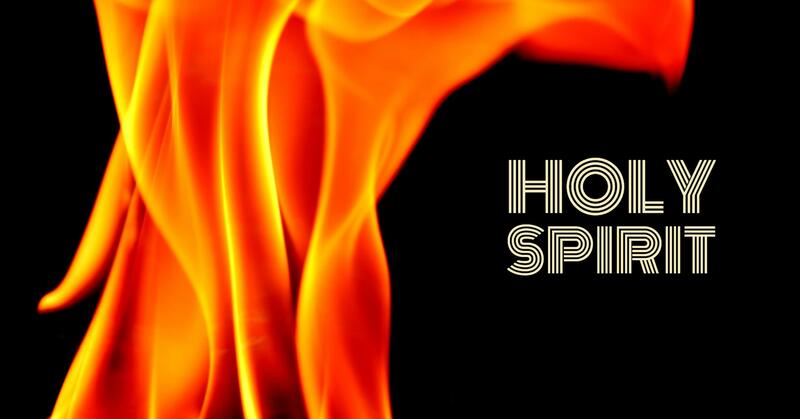 That week’s focus was all about Holy Spirit (or “Holy Ghost” as they called Him.) Our chapels, cabin meetings, prayer focuses, projects… Everything all revolved around Him. I knew something of Holy Spirit from sermons and classes at church, but He had never really felt real to me up to that point. One day, I remember hearing the speaker talk about praying in the Spirit and how we don’t always know what is going on, but that we must take notice, listen to Him and respond to His lead every time He is working in us. I don’t really remember the exact words or even any Scripture references the speaker gave, but later that afternoon, I felt an overwhelming urge to pray. I didn’t know why or for whom I was praying, but the urgency left me breathless and weeping. It felt as though I were pleading for someone’s very life. The other girls who were in my cabin at the moment were understandably worried and called for our counselors. The gravity of whatever was happening was apparent, and soon all present joined me in prayer for some time. Eventually, I felt a vivid sense of release from Holy Spirit, and we resumed our schedule for the day. A day or so later, I learned that during the hour my cabin mates and I were urgently praying, my dad had been in a head on car collision in another state. The tiny Toyota he was driving at the time was completely demolished. One glance at that crushed little car would convince anyone that he shouldn’t have survived. He suffered nearly a dozen broken bones, including a broken neck, but God spared him. The incredible reality and gravity of that experience left me with no doubt about Holy Spirit’s presence, power and purpose in our lives, but He is not always the easiest to describe. As we explore our Creed, let’s examine our own understanding and expectation of who Holy Spirit is, what He does and what He can do. 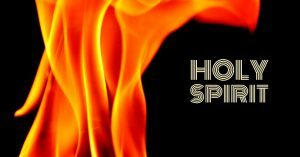 So who is Holy Spirit? What does He do, exactly? He is fully God. He is Triune, three in one, with Father and Son, Jesus. He is our Comforter. He quiets us when our lives seem tumultuous and we feel tossed about. He is our Truthsayer. He opens our hearts and spirits to understand the Word. He is our Teacher. He reveals all things to us. He is our Memory-keeper. He reminds us of Jesus’ words and God’s promises. He is our Convicter. He alone sparks conviction in the hearts of men and women. He is the Spirit of Adoption. Through Him we become children of God and co-heirs with Christ. He is our Freedom. He breaks us free from the desires of the flesh. He guides us in all truth. He speaks to us on God’s authority. He glorifies Jesus in all He does. He enables us to set our minds on life and peace. He shoulders our weakness and is our strength. He intercedes for us when we don’t know how or what to pray. He brings forth good fruit in our lives. Does He live in every person? No. We are not born with Holy Spirit inside us. When we confess our sinful nature, acknowledge Jesus Christ as our Savior, and repent of our sins, Holy Spirit comes to dwell inside us. This is the only way a person can receive Him. He is far more than an internal compass between right and wrong, although He does convict us when we sin. What about children who accept Christ? Does He dwell in them, too?Yes, absolutely! The full and complete Holy Spirit indwells every single Christian, regardless of age, race, gender or any other factor. Every person in whom He dwells has access to all of Him. The 8 year old little boy in the pew next to you who accepted Christ yesterday has every bit as much of Holy Spirit in Him as the octogenarian who has given her life to Jesus every day for the past 80+ years. This forgiveness and adoption of each one, fully and completely, is the miracle of salvation. If He is part of the Triune God, why is Holy Spirit basically nonexistent until the New Testament? The short answer is…well, He isn’t. In fact, He is present from the very start. Before the life, death and resurrection of Jesus, Holy Spirit functioned in a completely different manner than He does now. Prior to Jesus’ ultimate sacrifice, Holy Spirit did not dwell within every believer. He would rest on certain individuals for a time, in order to bring about a specific purpose… but His indwelt Presence was not automatic for every person. This is why the riveting picture we see painted in Acts is vitally important to our creed. Until that moment in time, Holy Spirit’s personal Presence was far more the exception than the rule. When He came like a rushing wind on the disciples at Antioch, He obliterated every preconception we had about Him. Just as the King of Kings chose to come as a baby, confusing all who expected a warrior King, Holy Spirit chose to break the “mold” we had seen demonstrated throughout history. Rather than resting on a select few, He chose to become equally accessible to each and every one of us, both then and now. You and me, friend. And His power NEVER diminishes. Okay, so what does that mean for me? How does/can His presence within me affect my daily life? Well, that means that when we surrender our hearts, minds and lives to Holy Spirit’s sovereignty (He is part of the Godhead, three-in-one, remember? ), we are releasing our grip on our lives and allowing Holy Spirit to move through us as He desires. Sometimes that looks like paying for a stranger’s coffee when prompted. Sometimes that looks like denying ourselves something we want in favor of giving where He nudges. Sometimes that looks like swallowing our doubt or fear and boldly sharing the word of knowledge He impresses on our hearts. Sometimes that looks like praying in the Spirit for reasons unknown. And sometimes, that looks like walking in our identity, accepting the authority He gives us and healing hurt and broken people in His Name. As we reflect over our Creed and what we believe about Holy Spirit today, perhaps we should also examine how we are walking out the identity we have in Him. 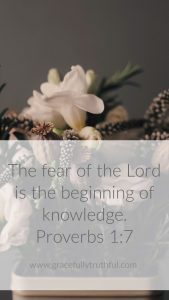 Are we declaring His sovereignty in our lives and hearts each day and owning the authority He gives us, or are we choosing to ignore His leading when we start to feel uncomfortable? Thanks for joining us today as we journeyed into Creed Week Two! Don’t miss out on the discussion below – we’d love to hear your thoughts!